Lead, glass fibre, resin & light. 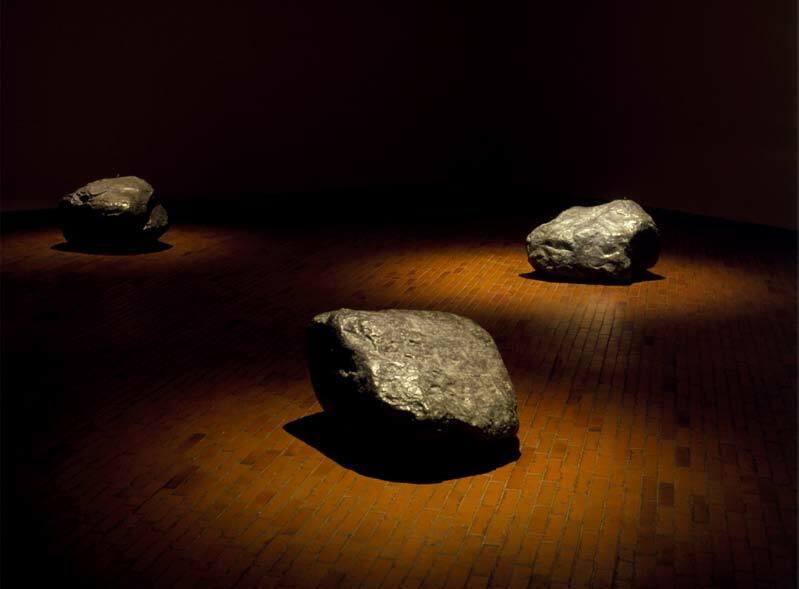 Five rocks imbued with light. Terra Incognita consists of a mundane group of lead boulders. Lacking in any human, emotional or sentimental context, the stones stand like strange sculptures forming an abstract installation. The rocks are lost in the environment but are awarded a new self-worth here, in their own right. The opportunity is presented to examine and scrutinize them, as if partaking in the rock’s dream and the desire to exist for a wider audience somewhere in the world. Rocks, fundamental elements of the Earth and humanity, are like relics of a larger whole and remind us of the fear of going beyond ourselves. They symbolise a divine mystery, the presence of matter all around us. Individually. However, the rocks simultaneously appear to be something alien, objects from another planet, disclosing another side to human beings: the deviation, distance and alienation from the fragments. We wish to bridge this gap and to communicate with people externally. My reaction is somewhere between these emotional reactions, gently swinging from one to the other, like a hammock. These rocks are solidly built and accessible, not spectacular, appearing more like a person which enables us to empathise. 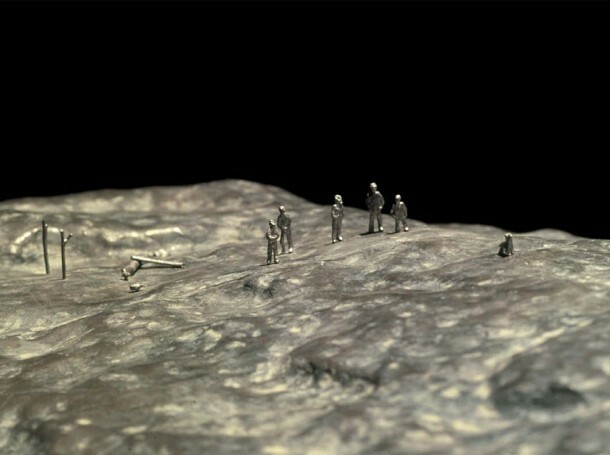 Upon closer inspection, a scene is visible above each rock, a lead figurine, made from the same substance as the rocks, creating a narrative. A human and political dimension emerges concerning the living conditions of opium farmers in Colombia, and their struggle against police control. 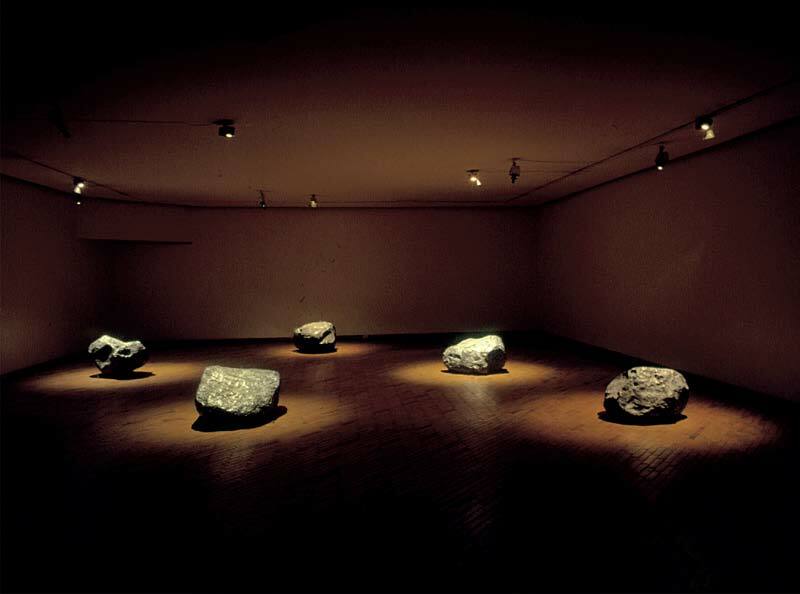 In the previous selected work of art, the rocks are a screen to project ideas and fantasies for the female figure. Here, the rocks are a huge stage where life unfolds, where the life of anonymous workers who earn a living illegally unfolds. It is a contrast of emotions, an ambivalent oscillation: between the attempt to work and to provide for a family, to live and to love whilst endorsing drugs and violence. The rocks are real, heavy and full of life, but they are hollow inside. 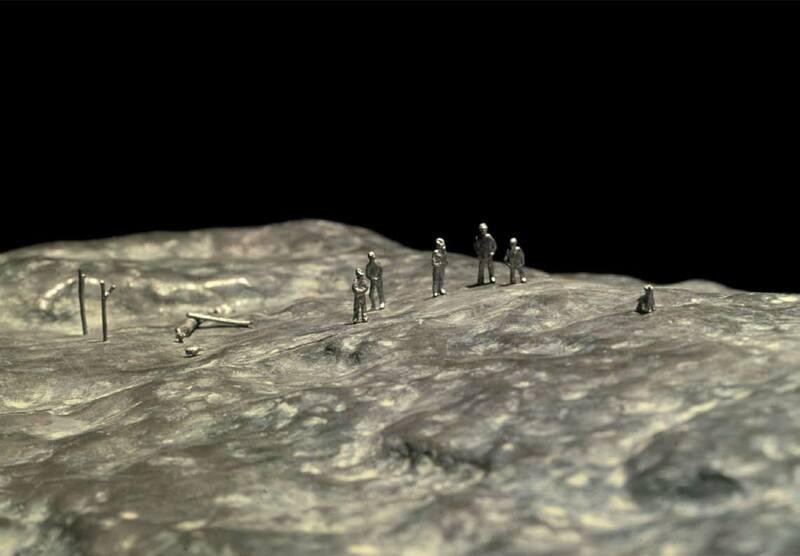 They are made from the same material as the figurines of the growers – the same powerful substance. Five rocks imbued with life.